Paying your bill using our automated telephone system is easy and convenient, but before you can take advantage of our phone payment or online payment options, you must set up your online account profile. Under the “Payments” tab, Go to “Payment Profile,” and click on either “Credit Card Profile” or “E-Check Profile.” Complete and submit the profile for the payment method you prefer. Under this same “Payments” tab, you also can set up your account to be paid by “Bank Draft” or by “Credit Card Draft.” Please note: PAY-Go accounts are not eligible for Draft payments. Paying your bill online is easy and convenient, but before you can take advantage of our phone payment or online payment options, you must set up your online account profile. Within the portal and under the "Payment" tab, you can click on "Make Payment," or you can set up your account to be paid by "Bank Draft" or Credit Card Draft." Bank Draft allows you to make automatic monthly electric bill payments by electronically transferring funds from your bank to your account at Gibson EMC. With Bank Draft you’ll continue to receive an electric bill each month. On your bill’s due date, we send a draft to your bank in the amount of your bill. All you have to do is adjust your checkbook. Bank Draft is offered to all Gibson EMC members who have a checking or savings account with a financial entity that is a member of the Automated Clearinghouse Association. Complete the Bank Draft Authorization form. Then just mail the completed form and a voided check from your financial institution to Gibson EMC, P.O. Box 47, Trenton, TN 38382 or deliver both to your nearest Gibson EMC member service center. Please note: PAY-Go accounts are not eligible for Bank Draft payments. And as always, if you have a question, just call your local Gibson EMC member service center. With Credit/Debit Card Draft you will continue to receive an electric bill each month. On your bill’s due date, we will draft your VISA, MasterCard, American Express or Discover account in the amount of your bill. Credit/Debit Card Draft is offered to all Gibson EMC members who have a VISA, MasterCard, American Express or Discover account through a financial entity that is a member of the Automated Clearinghouse Association. You may complete the Credit/Debit Card Draft Authorization form. Per our vendor, a convenience charge of 2.45% will be added to any debit or credit transaction using VISA or MasterCard, and to any credit transaction using American Express or Discover. As always, just call your local member service center if you have a question. Payments by phone — Just call your local Gibson EMC member service center anytime, day or night. Have your Gibson EMC statement and your VISA, MasterCard, American Express or Discover credit or debit card handy. Bill payment is as easy as that. Payments via the Internet — Whether you’re at home, at work, or away on vacation, you can view your electric bill online and make VISA, MasterCard, American Express or Discover credit or debit card payments. Click on "Payments, then "Make Payment." Next enter your Member Login, Gibson EMC account number and password. Your assigned password is printed near the middle of your bill, until you set your own password. Payments from walk-in members— Stop by any Gibson EMC member service center and present your statement and your VISA, MasterCard, American Express or Discover credit or debit card. We’ll handle the rest. Per our vendor, a convenience charge of 2.45% will be added to any debit or credit transaction using VISA or MasterCard and to any credit transaction using American Express or Discover. Pay-Go is a pay before consumption program and an alternative to Traditional Billing. Members say they like Pay-Go because they don't have to pay the deposit they'd have to pay with Traditional Billing, and they receive much more information about their energy usage. This information, they say, helps them to use energy to more efficiently. New or existing residential or GSA1 members may choose to participate. Of course, applicable fees must be paid prior to the commencement of service. Existing members with account balances may pay either the account balance or utilize a debt recovery mechanism. (Call for details regarding the debt recovery mechanism.) Members with a Gibson EMC heat pump loan and/or water heater loan are not eligible for Pay-Go. With Pay-Go you pay for electricity in advance; and as you use electricity, your account balance decreases. A minimum payment of $40 is required for representative assisted payments, but participants may pay any amount or any time of the day or night using Gibson EMC's automated phone system or through this site. Payments may be made by phone or online using Check-by-Phone, or debit or credit VISA, MasterCard, American Express or Discover. Should your Pay-Go account reach a debit or negative balance, your electricity will be automatically disconnected. Therefore, it is important for you to closely monitor your account balance. We make this easy. You can check your account balance online, opt to receive a low balance e-mail, text or automated phone message alert. Monthly statements are not sent to Pay-Go participants. Members who choose Pay-Go pay the same electric rate, the same $5 membership fee, and the same connection fees as those who choose Traditional Billing. Energy usage plus pro-rate monthly fees apply. Members waive prior written notification for disconnection. Gibson Electric Membership Corporation members may now pay their bills when and where it is convenient with the introduction of the PaySite® bill payment kiosk. The kiosks are conveniently located near the homes and workplaces of many members throughout the Gibson EMC's service area. This new service is easy to use and provides immediate payment posting for Gibson EMC members paying at the kiosk. Paying at the kiosk provides fast posting to members’ accounts and the machine does not store personal information on the kiosk, making the terminal a safe and secure payment method. Gibson EMC payments may be made at the kiosks with cash, check, and credit/debit card. Members that use the kiosk find that the payment process is fast, easy, convenient, and secure. For credit/debit card transactions, there is a 2.45% convenient fee. For cash or check transactions, there is a $1.50 Pay/Site Processing Fee. Looking for just the right gift or for a way to extend a helping hand? Give a Gibson Electric Membership Corporation gift certificate! For the person who has it all, it's always a perfect fit. For the person who needs a little assistance — Whether you’re a concerned friend, a caring neighbor, or a member of a church or civic group, send a Gibson EMC gift certificate to show you care. We can even mail the gift certificate for you, if you’d like to send it anonymously. Available year ‘round — We have two versions: one for Christmas gifting and one suitable for any occasion. Available in any denomination — Just let us know how much you’d like to spend; we’ll customize the gift certificate to meet your needs. Simple to redeem — The recipient uses the gift certificate, just like cash, to make payment by mail or in person at any Gibson EMC member service center. Gift certificates may be used to pay for energy usage and other Gibson EMC services such as outdoor lighting, heat pump loan, water heater loan, and Surge Alert lease, but they are not negotiable for cash. You are 62 years of age or older and a recipient of Social Security or Disability benefits or you are permanently disabled and a recipient of Disability benefits. Electric service is in your name. Your electric bill is paid in full when you apply, and the completed Delayed Payment Plan application is approved by Gibson EMC. With the Delayed Payment Plan, your meter reading date doesn’t change, but your billing and due dates do change. 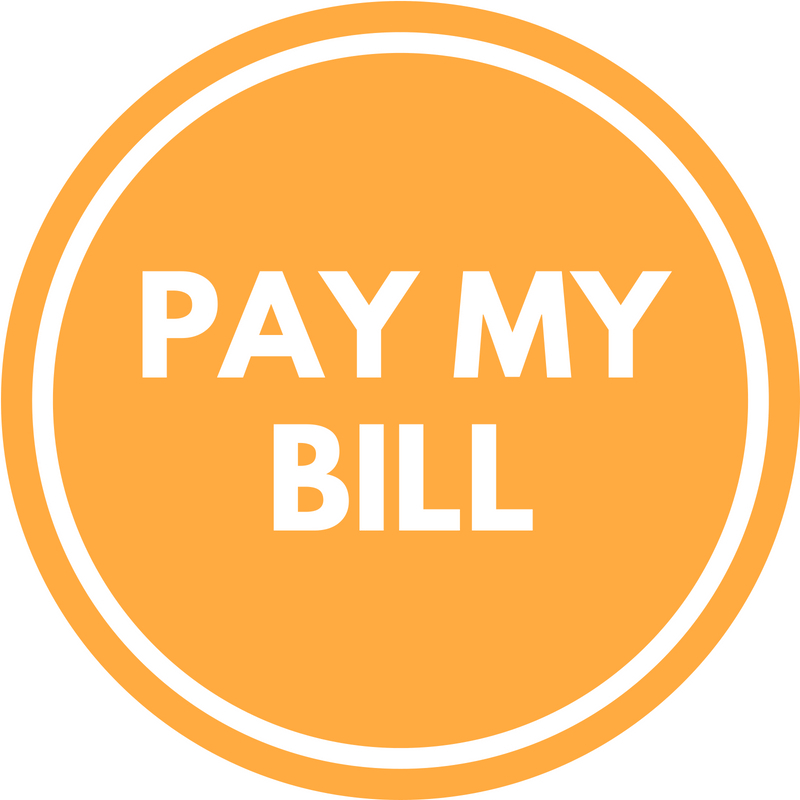 Bills should be paid in full by the due date; partial payments must have prior approval of Gibson EMC. If your bill is unpaid after the due date, a late charge of 5% is added. Service may be terminated if your bill is unpaid three days after the due date. If service is terminated twice during a 12-month period, you will be removed from the Delayed Payment Plan. Once removed from the plan, you may be reinstated after one year, if approved. You may discontinue your Delayed Payment Plan at any time. Click here to apply. Levelized Billing is a program that helps members to equalize or level out monthly bill payments and lessen the impact of seasonal fluctuations. With Levelized Billing, Gibson EMC averages your current month’s electricity usage with your previous 11 month’s’ usage to arrive at approximately equal bills. With each new month, you may see slight fluctuations in your billed amount, but there is usually not more than a $20 variance. Please note: A member cannot have an outstanding balance at the time of enrollment and PAY-Go participants are not eligible for Levelized Billing. If you have questions about Levelized Billing or any other program, just call or come by your local member service center. We encourage you to use electronic (paperless) billing. It offers several benefits - e-mail reminders when your bill is ready to view; secure online access to your statements; it helps us hold billing costs down, and it's good for our environment. To enroll the selected account in E-Bill, change the Billing Method to "E-Bill." Transfer Membership... If you need to transfer your membership to another person, please complete and print the form here and stop by your local Gibson EMC member service center to provide a notarized signature as well as proof of death if the person from whom membership transferring is deceased. Click here for member service center addresses and telephone numbers. Discontinue Service... If you are a residential member who wishes to discontinue your electric service, please call your local member service center and let us know when you desire for your service to be disconnected. Click here for your member service center locations and telephone numbers. If you are a commercial or industrial member who wishes to discontinue your electric service, please call Member Care at 731-855-4740 extension 1611. The Red Flag Rule is a mandate of the Federal Trade Commission, requiring financial institutions and creditors, including utility companies like Gibson EMC, to implement an Identity Theft Prevention Program. The purpose of Gibson EMC’s Identity Theft Prevention Program is to detect, prevent and mitigate identity theft. It includes policies and security procedures to safeguard against someone gaining your personal information and using it to steal your identity. You will be asked to provide personal identification and additional information each time you make inquiries about your electric account or request changes to your account or services. We appreciate your patience and understanding as we follow the guidelines of the Red Flag Rule and work to protect you.